This year the GLSPS offered another Underwater Construction training class for our members and ten students signed up for the class. 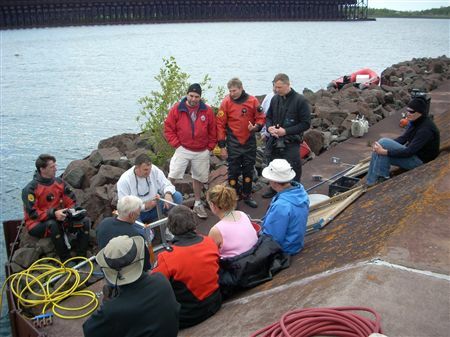 These students were eager to learn how the GLSPS performs underwater construction and stabilization on historical shipwrecks without taking away the authenticity and the historical value of the shipwreck. These are very valuable skills to learn. You will not be able to find a class like this anywhere in the nation. 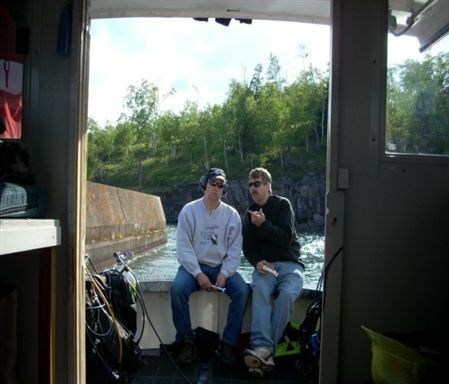 This class is tailored to accommodate the needs of the GLSPS to assist in the Preservation of our historical resources in the Great Lakes Region and mainly along the North Shore of Lake Superior and Isle Royale National Park. 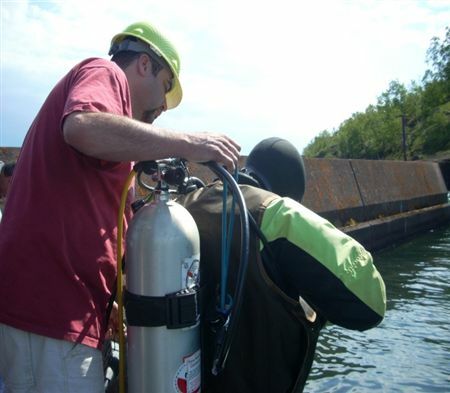 The Instructor, Cliff Schmidt, is a Commercial Diver / Instructor and has brought many great commercial diving techniques to the Society for us to learn and utilize to help the GLSPS achieve our goals. 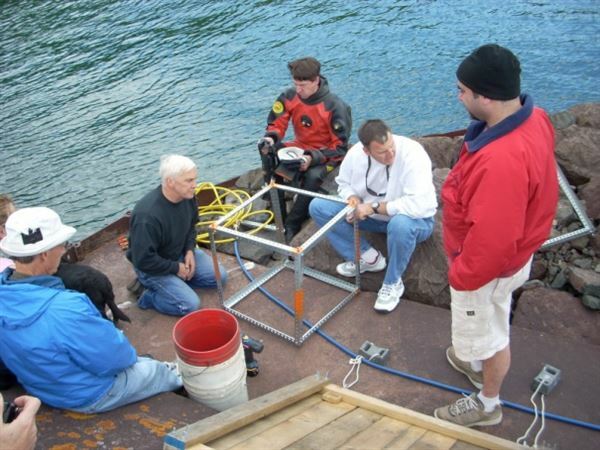 Special tools and techniques are taught using air tools, hand tools, special measuring equipment, and moving heavy pieces of a ship using lift bag operation and procedures. The most emphasized aspect of the class is safety. 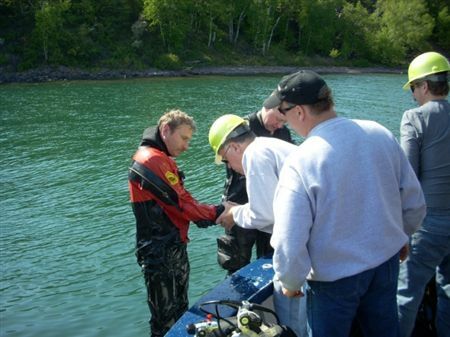 We wouldn’t be able to perform any of the underwater construction required to perform the preservation on these shipwrecks without the safety aspect. As the Lead and Safety Training Officer, I assisted Cliff in designing and customizing the UWPTT Class. Each year we add additional training exercises to improve the capability of the GLSPS and the students in which we teach these skills. I presented the class with the special operating procedures, (SOP) which are tailored to all our underwater stabilization projects. The ten students were: Steve Steichen, Jon Connolly, Pete McConnell, Randy Beebe, Linda Negus, Jim Christenson, Steve Daniel, Corey Daniel, Rick Schmidt and Paul Imsland. The students did very well on all the skills they performed. All the students passed the class and will be receiving a “GLSPS SPECIAL OPS” certification card for their efforts in completing four hours of classroom and two dives consisting of five different and difficult skills. The second most important part of the class is to have fun. The UWPTT Class offered for the last two years has been fun and rewarding. Everyone that completes this class has something positive to say. If you are interested in signing up for this great class, please feel free to give us a call or send an email anytime. Check the Website www.glsps.org for more information on the class. You don’t have to wait for next year’s signup sheet! 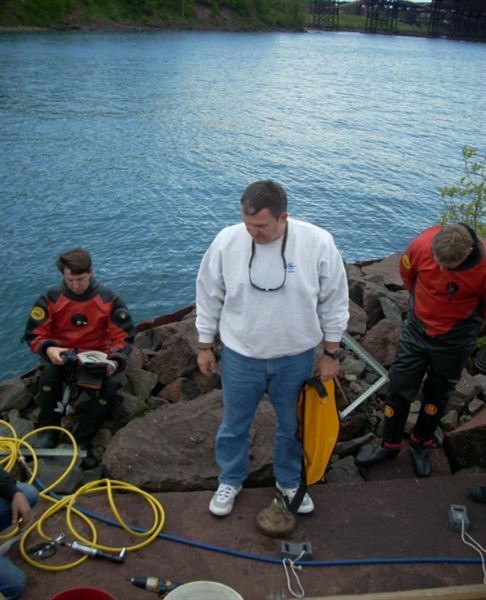 Sign up now and reserve your spot for the next great UWPTT Class next June 2010. (The exact dates will be decided during the 2009 – 2010 winter months).